LOCATION.--Lat 41°41'10", long 74°09'55" referenced to North American Datum of 1983, Ulster County, NY, Hydrologic Unit 02020007, on left bank 400 ft upstream from bridge on U.S. Highway 44, 500 ft downstream from Shawangunk Kill, and 0.7 mi northwest of Gardiner. PERIOD OF RECORD.--September 1924 to current year. GAGE.--Water-stage recorder and crest-stage gage. 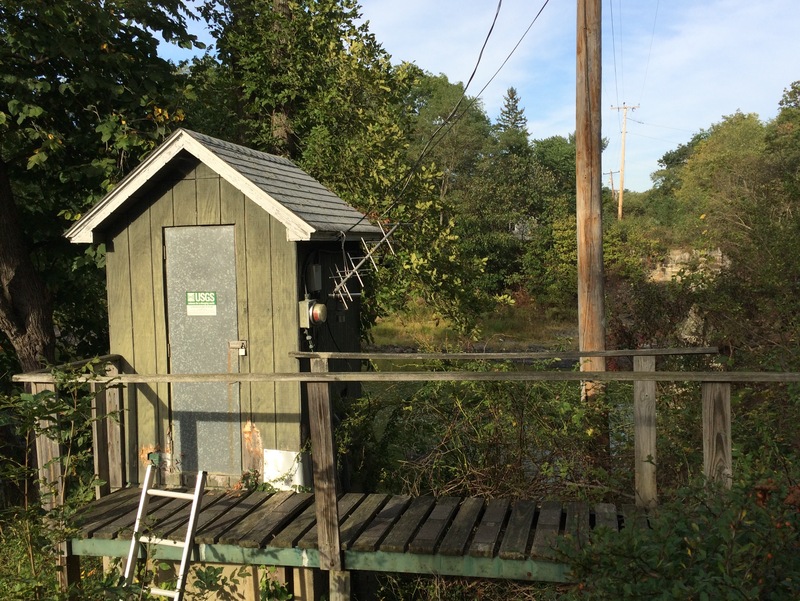 Datum of gage is 185.70 ft above NGVD of 1929 and 183.70 ft above NAVD of 1988. REMARKS.--Regulation at low flows by dams upstream and some diversions for municipalities and irrigational purposes. EXTREMES FOR PERIOD OF RECORD.--Maximum discharge, 30,800 ft³/s, Oct. 16, 1955, gage height, 19.81 ft; minimum discharge, 9.5 ft³/s, Sept. 28, 1964; minimum gage height, 1.49 ft, Aug. 7, 1999.